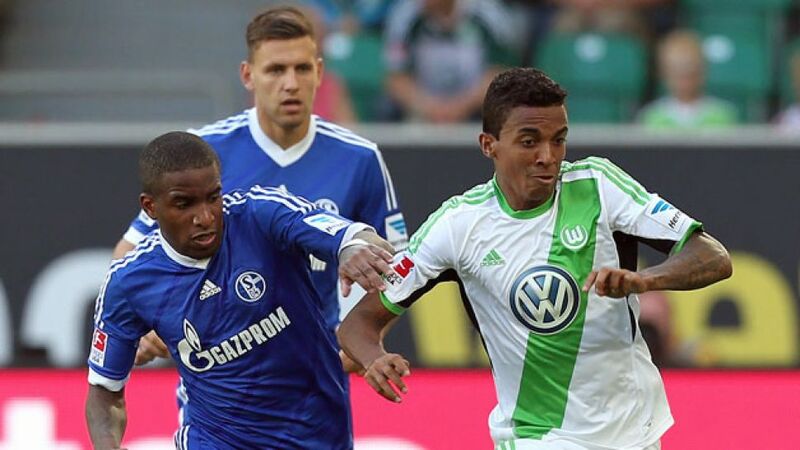 Gelsenkirchen - FC Schalke 04 could be about to unearth a piece of top-four gold with victory over VfL Wolfsburg on Saturday afternoon (kick-off 15:30CET). The fifth-placed Knappen sit just two points shy of Borussia Mönchengladbach and Ruhr district rivals Borussia Dortmund ahead of Matchday 19’s blockbuster clash, after registering a demonstrative 3-0 win away to Hamburger SV last time out. A repeat outcome would, at the very least, add further weight to the argument that the Royal Blues are going to be one of the teams to beat in the months ahead. Too often during the Hinrunde, Keller’s men flattered to deceive, but with poacher extraordinaire Klaas-Jan Huntelaar back on the goal-mining trail, the Schalke camp have reason to be optimistic. Keller’s tentative assessment is all the more understandable given sixth-in-the-table Wolfsburg’s mid-winter acquisition of former SV Werder Bremen and Chelsea FC midfielder Kevin de Bruyne. However, as coaching counterpart Dieter Hecking intimated at his customary pre-match press conference, dressing room envy is a common affliction in the star-studded world of the Bundesliga.